Veterans who were exposed to Agent Orange or other herbicides during military service may be eligible for a variety of VA benefits, including disability compensation for diseases associated with exposure. Your dependents and survivors also may be eligible for benefits. In addition, VA has determined there is evidence of exposure to Agent Orange for Air Force and Air Force Reserve members who served during the period 1969 through 1986 and regularly and repeatedly operated, maintained, or served onboard C-123 aircraft (known to have been used to spray an herbicide agent during the Vietnam era). For more information about service qualifications and other eligibility criteria, visit our Agent Orange C-123 web page. VA and federal law presumes that certain diseases are a result of exposure to these herbicides. This "presumptive policy" simplifies the process for receiving compensation for these diseases since VA foregoes the normal requirements of proving that an illness began during or was worsened by your military service. A Veteran who believes he or she has a disease caused by Agent Orange exposure that is not one of the conditions listed below must show an actual connection between the disease and herbicide exposure during military service. If you fall into either category listed above, you do not have to show that you were exposed to Agent Orange to be eligible for disability compensation for diseases VA presumes are associated with it. Check the list of U.S. Navy and Coast Guard ships that operated in Vietnam to confirm whether your service aboard a ship allows VA to concede you were exposed to Agent Orange..
Veterans who served on or near the perimeters of military bases in Thailand during the Vietnam Era. Veterans who served where herbicides were tested and stored outside of Vietnam. Veterans who were crew members on C-123 planes flown after the Vietnam War. Veterans associated with Department of Defense (DoD) projects to test, dispose of, or store herbicides in the U.S. If eligible, you must prove that you were exposed to Agent Orange or other herbicides during your military service to be eligible for service-connection for disease VA presumes are related to Agent Orange exposure. exposure to herbicides in a location other than the Vietnam or the Korean demilitarized zone. exposure to herbicides in a location other than Vietnam or the Korean demilitarized zone. Monthly payment rates are based on the Veteran's combined rating for his or her service-connected disabilities. These ratings are based on the severity of the disabilities. Additional amounts are paid to certain Veterans with severe disabilities ("special monthly compensation") and certain Veterans with dependents. You can view the current Compensation Rate Tables to determine the amount you may receive. 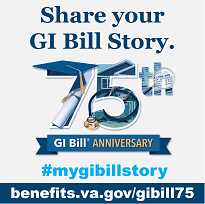 For more information on how to apply and for tips on making sure your claim is ready to be processed by VA, visit our How to Apply page. Check VA's Guide to Agent Orange Claims to learn more about how to establish eligibility to disability compensation and how much VA pays. You can also call the Agent Orange Help Line at 1-800-749-8387 or send an e-mail to GW/AOHelpline@vba.va.gov. You must provide your name, e-mail address, telephone and/or fax number, and VA file number/Social Security Number. We will do our best to respond within a reasonable amount of time (usually 3 to 10 workdays).